With the increased trend and market availability of smart home appliances usage, either for comfort or for economy (power consumption control), the automotive industry has started to seriously work on integrating the smart car technologies with the smart home platforms, trying to promote their products as part of the “Internet of Things” (IoT) networking technology. Mercedes-Benz started to investigate integration of its Mercedes Digital DriveStyle app with a Nest smart thermostat in mid-2014, aiming to have the car give an estimated time of arrival in order for one’s home to be automatically and adequately preheated or cooled. Following this, BMW demonstrated smart home integration at the IFA 2015 consumer electronics show in Berlin. At the beginning of 2016, Ford announced it has taken the challenge a step further, and is exploring integrating its cars with the Amazon Echo and the Wink smart home platform, thus providing control to a large number of smart home devices from many different manufacturers. The Wink platform was developed by a partnership between Quirky and GE, and it allows third-party smart devices for home automation to be connected to one app. The Wink App, which is available for iOS and Android, is currently able to control and manage a large number of home comfort devices from various manufacturers: lighting, switches and outlets, cameras and sensors (e.g. security, smoke), locks and garage doors, thermostats, irrigation, appliances, and window treatments. The Ford SYNC Connect technology was released by Ford in November 2015, to enable drivers to access their vehicles using a smartphone app. It included basic functionality to lock, unlock, start, locate vehicle and check its status (fuel, oil, battery levels, tire pressure). 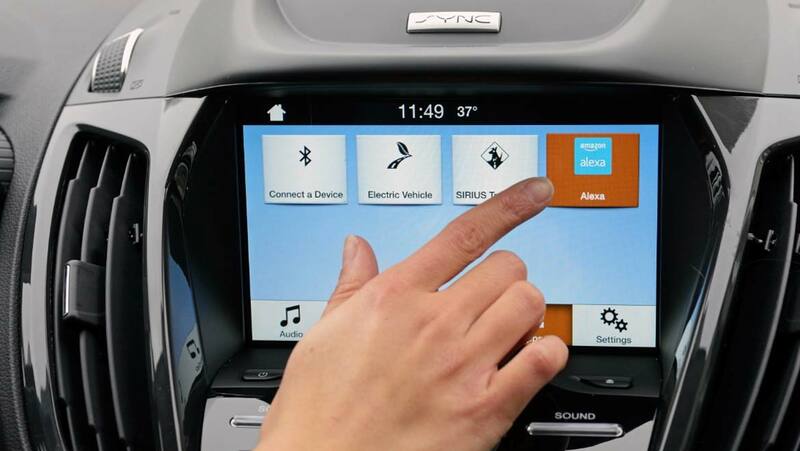 The SYNC Connect offers voice-activated control of smartphones, and together with Amazon Echo and Wink connectivity innovations is part of the Ford Smart Mobility plan. Ford’s connectivity paradigm envisages controlling both the smart car from home and the smart home from the car. While at home, the driver might be interested to check fuel level or charge status of their electric vehicle. From inside the vehicle, the driver could check on various home smart devices or services (e.g. garage door status) or use keywords to control a bunch of them at once (e.g. say a command that opens the garage door, turns on the lights, and unlocks the front door). Although none of the automotive industries have advanced from conceptual/demonstration to production, this major trend in automotive connectivity, in conjunction with the smart home products, has the potential to make our lives easier and more convenient in the future.